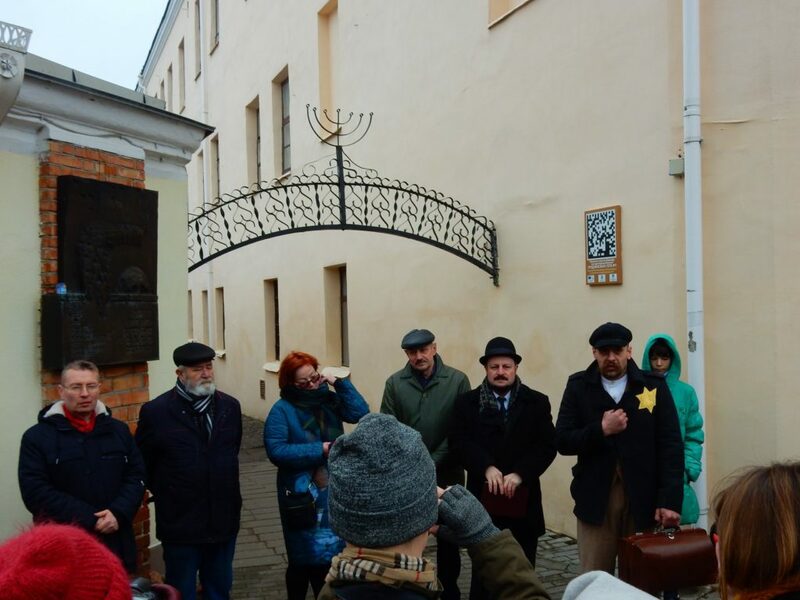 Every year, in any weather, in the middle of March, people gather in Grodno on the site of the former ghetto, at No. 1 on Zamkova Street, to pay tribute to the memory of the dead. The “memory march” traditionally begins at a memorial plaque installed near the entrance to the ghetto. 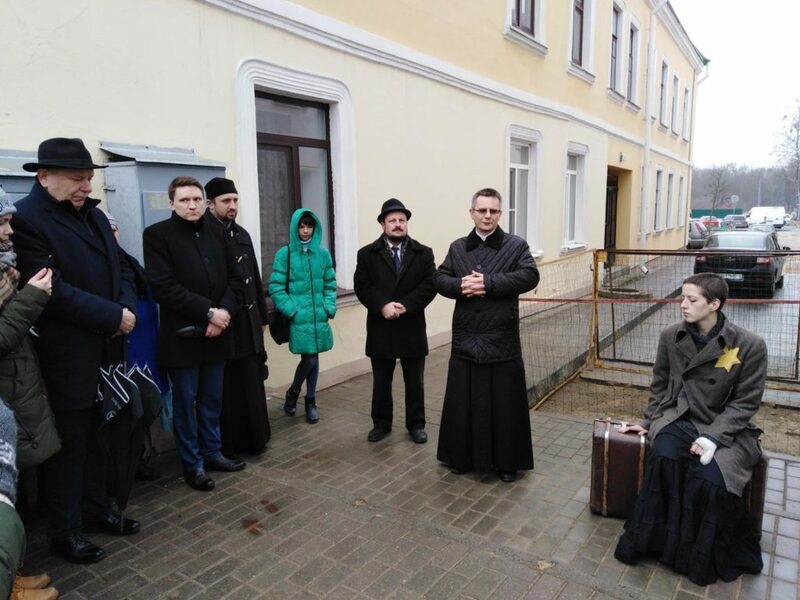 This year, local performance troupe “Hexogen” took part in the event, with actors interactively telling about the people who lived and died in the Grodno ghetto. 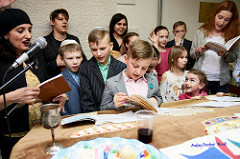 The “March of Memory” traditionally took place from Zamkova Street to the synagogue, where a concert and exhibition “At the Command of the Heart”, organized by the Yad Vashem Museum (Jerusalem) with the support of the United Nations Development Fund. 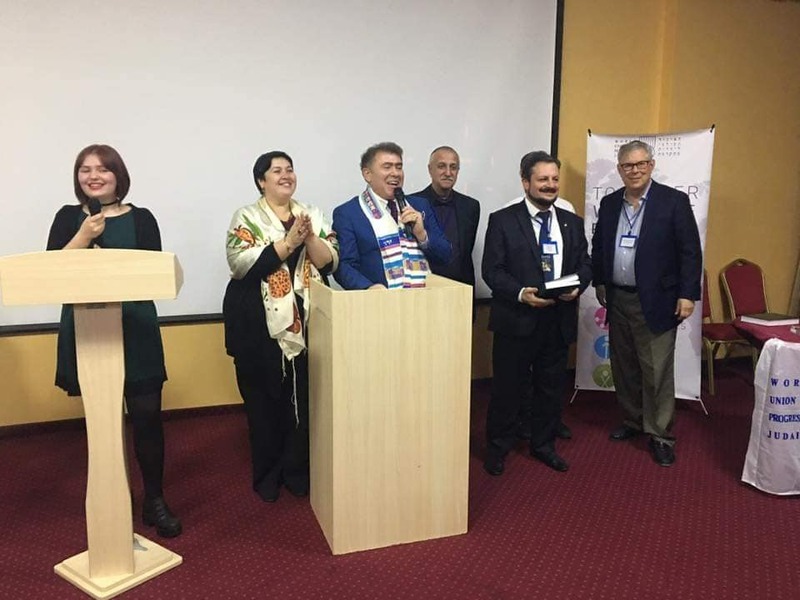 Members of Kehillat Menora, the Progressive congregation in Grodno, were also in attendance with Rabbi Grisha Abramovich from Sandra Breslauer Beit Simcha Center in Minsk and the Religious Union for Progressive Judaism in Belarus, led part of the service, with members of the Religious Union for Progressive Judaism in Belarus and Russia in attendance. The Vice Chancellor of Grodno Diocese, Father Antony Gremza, also joined the event and services. Please fill out this form to share "[BELARUS] March of Memory at Grodno Ghetto" via e-mail.